Posted on December 4, 2018 by Celianna Posted in Sale	. Remember: VAT not included as this differs per country. US residents are expected to pay an additional 21% VAT. Posted on February 22, 2018 by Celianna Posted in Uncategorized	. Thanks to everyone participating in my holiday sale! In the meantime, since I’ve been busy working on my game and not working on any tiles, I’ve been thinking about having a spriteset released next time, MV sized. Sci-fi fantasy has got me stumped, so I’m going to set that aside for a while and focus on other projects. Posted on December 2, 2017 by Celianna Posted in Sale	. 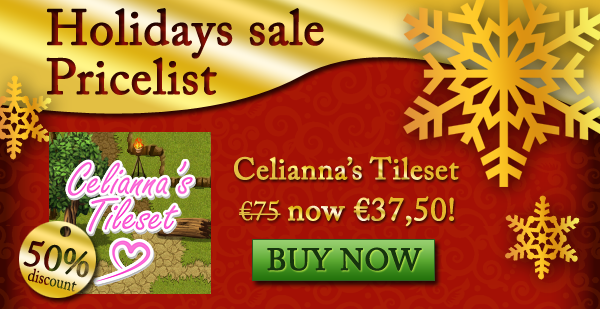 The holidays are upon us and Pixanna celebrates by discounting a lot of popular resource packs! Sale lasts until January 31st, 2018. 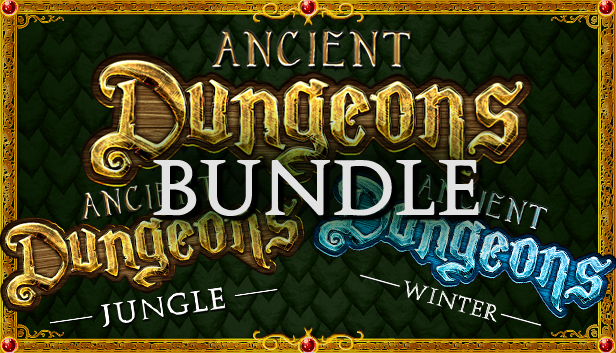 Check out the Ancient Dungeons bundle which is very sharply discounted. Posted on April 24, 2017 by Celianna Posted in Sale, Tiles	. 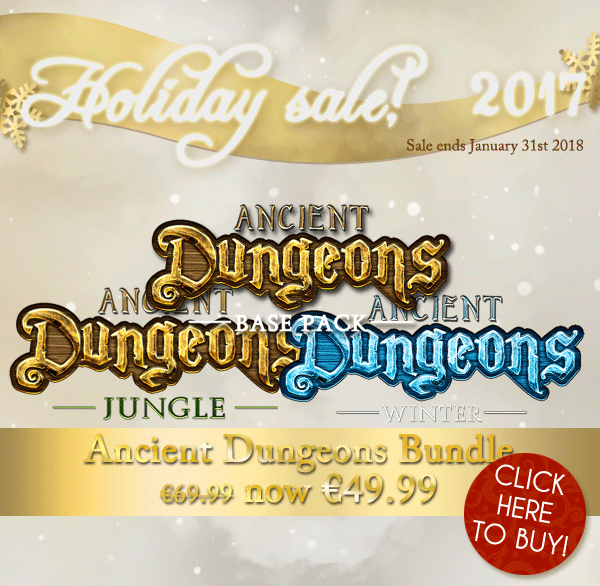 Ancient Dungeons: Jungle is basically reduced to only €5 if you buy them all together! Posted on February 1, 2017 by Celianna Posted in Tiles	. Even though the poll now has the majority wanting sprites for the Ancient Dungeons set, I’m working on the Sci-fi Fantasy tiles. Simultaneously, I will slowly work on a spriteset MV sized, which I can then reduce to 32×32 for Ace, so people can use it in Ancient Dungeons as well. For a small preview, check my twitter. Posted on January 6, 2017 by Celianna Posted in Uncategorized	. Okay, I’m just toying around with this. The one thing Ancient Dungeons is truly missing, are matching NPC sprites. So I made a little mock-up of some sprites. Of course, I could actually try to finish this, make enough sprites for people to populate their game with, and keep the pieces on different layers so people can generate their own sprite. I can do this, of course, but making sprites takes as long as making tiles, and I’m unsure if it would be worth my time if no one will actually buy this. I’m still going to make an MV tileset, no worries about that – but would you first want an NPC spriteset pack? Or skip straight to the MV tileset? Sprites or an MV tileset - which one would you want more? Posted on December 31, 2016 by Celianna Posted in Uncategorized	. Sci-fi fantasy is such a broad ‘genre’, that it’s hard to know what exactly I should be drawing. 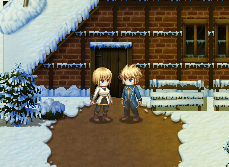 I know the art style, and I know it will be for RPG Maker MV, but what do people expect when they hear sci-fi fantasy? So that’s where this poll will come in, please let me know the kind of tiles you’re expecting when you purchase a sci-fi fantasy pack! When looking for sci-fi fantasy tiles, what do you expect to see more of? 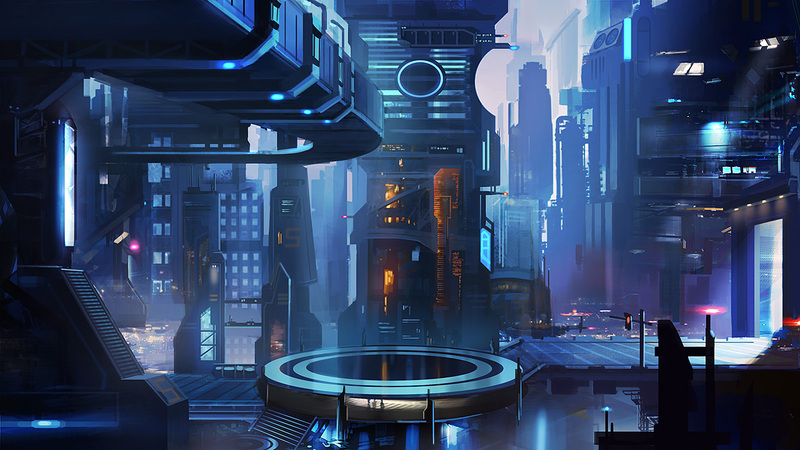 Tags: fantasy, MV, sci-fi, tiles	. Posted on December 29, 2016 by Celianna Posted in Tiles	. Winter is here! This is the second expansion pack of the Ancient Dungeons series. Please purchase the Base Pack to achieve its full potential. 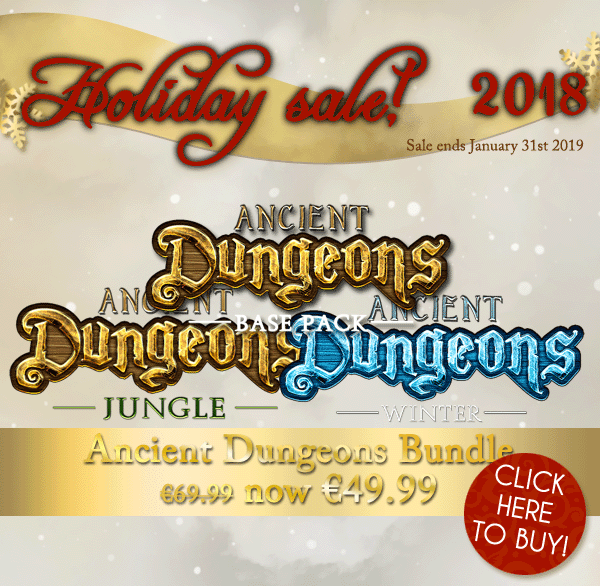 AD: Winter is a snow themed tileset, perfect for making your snow landscapes, an ice palace, or just a cold looking cave. 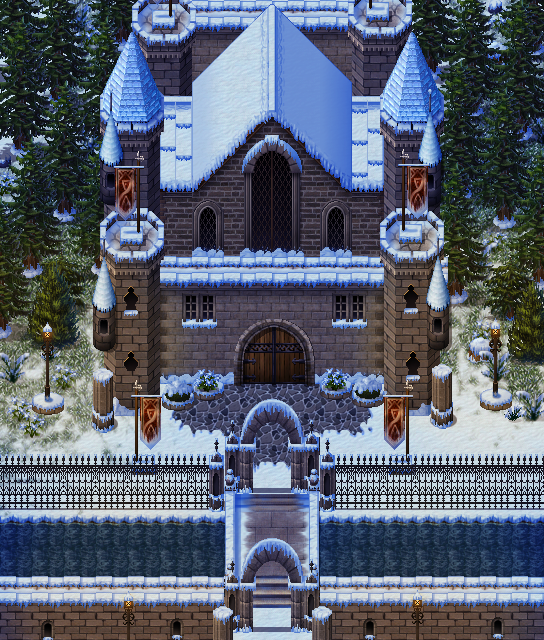 This set contains snow versions of the Base Pack’s TileC and TileD. Finally you can make snow covered villages! Contains an extra 544×416 image with snowflakes. There is a waterfall included that is an event graphic, please refer to the image file included with the pack on how to use this waterfall correctly. 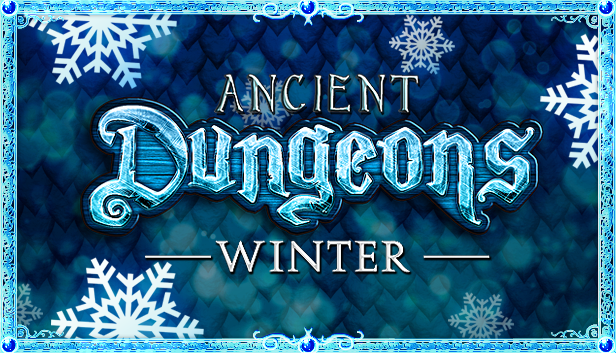 Tags: ancient dungeons, tiles, winter	. Posted on December 29, 2016 by Celianna Posted in Sale	. It is December, and that means big sales from me! Waiting to buy a commercial license from me? Now’s your chance – this sale will last until the end of January, 2017. I already made this banner before I realized I can’t put an exact price in Sellfy, instead I could only add percentages as a discount, so these images and prices don’t align 100% … they’re a few cents off. I’m really sorry about that! 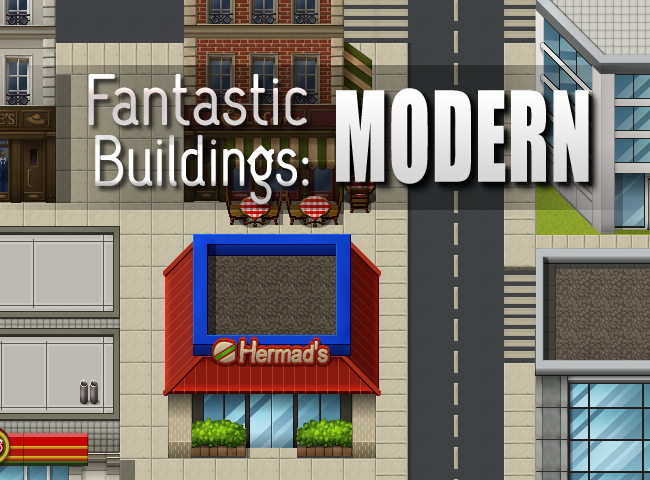 Fantastic Buildings: Modern – early access! Posted on February 2, 2016 by Celianna Posted in Tiles	. Because I’m taking forever to complete the Modern themed pack of my Fantastic Buildings collection, I’ve decided to do you all a favour, and let you have access to what is already finished. So you can buy it now, and later on you’ll be e-mailed a link for the updated, and complete, pack. You will not be charged extra for getting the completed pack, the price will stay the same regardless. When will I have the pack completed? I honestly can’t say, but hopefully within a month or two. Either way, let’s get on with it! Fantastic Buildings: Modern contains a collection of modern themed buildings for you to use in your project. These are ready to be used exterior buildings, optimized for RPG Maker VX and RPG Maker VX Ace, but can be used in any game engine. NOTE: this is an early access version. It is not yet completed. Once you purchase the early access version, you do NOT have to pay again to get the complete pack. You will be e-mailed a download link for the updated, and completed, pack once it is finished. These buildings are best used with the parallax mapping method. Tags: fantstic buildings, modern, tiles	. Want to follow on updates? Subscribe to my blog for e-mail updates.